Wood’s moisture content (MC), the amount of moisture in wood, must be managed to achieve optimum flooring strength and durability. When relative humidity (RH) rises, wood absorbs moisture from the air. When RH falls, wood emits moisture back into the air. This natural process gives wood its strength and beauty, but excessive MC can cause many possible problems with your wood floors. Some moisture-related problems are visible to the discerning eye. Primarily, wood flooring problems can occur when the wood expands and contracts. This “wood movement” occurs naturally according to seasonal shifts or when ambient RH levels change in the home. These changes can also present a less-than-desirable change in the appearance of your wood flooring. When homes are heated in the winter, RH levels can plummet, boards can shrink, and spaces appear between the boards as the wood loses MC. Some of these variations are seasonal problems and will close up on their own when the weather (and related RH) changes and the MC of the air increases. Monitoring the room’s temperature and RH level, then taking corrective action, can also minimize seasonal shifts in the wood floor. As an example, homeowners can add moisture to the air during dry winter months by installing a humidifier in the furnace. This is when the edges of a board are higher than its center, due to moisture which causes the wood to expand. This can occur after water spills onto the floor and is absorbed by the wood. However, usually high RH is the culprit. As the wood expands, compression can result as the boards are crushed together, deforming the boards at the edges. Cupping is caused by a moisture imbalance through the thickness of the wood. The wood is wetter on the bottom of the board than on the top surface, which dries quicker than the bottom. Cupping most often appears after the floor has been installed and in some cases, the floor will cup even if it was installed correctly. The opposite of cupping, crowning occurs when a board’s center is higher than its edges. A common cause is moisture exposure or imbalance. If the surface of the floor is left exposed to water or left in humid conditions for an extended period of time, the moisture can saturate the wood flooring and cause crowning. Another cause is that the floor was previously cupping, but was sanded before the MC returned back to its normal state. In this case, the floor should be given time to dry before sanding. The sanding process can cause the raised edges of the board to flatten while lifting up the middle of the board if the floor is sanded while the boards remain cupped and moisture is still present. This is the most extreme reaction to moisture in a hardwood floor. This occurs when the wood flooring actually pulls up from the subfloor, lifting several inches in one or more places. Fortunately, this is not a common occurrence. Buckling happens most often after a floor has been flooded for an extended period of time. If caught early, spot repair and replacement may be possible. 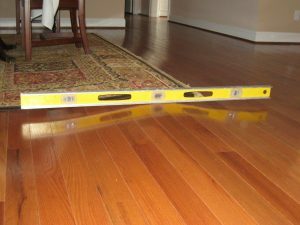 Once the standing water is removed, several boards can be taken up from the floor so that the air can circulate across and below the floor. Once the floor has dried to a more stable moisture level, repairs can usually be made. Some moisture dynamics can occur beneath a flooring substrate with equally devastating possible consequences for wood flooring applications. Determining MC is an essential part of quality control within the flooring installation process. Flooring installers must know the MC of the subfloor as well as of the wood flooring. Test for moisture at several locations in the room- a minimum of 20 per 1,000 square feet- and average the results. You should make sure to measure all exterior and plumbing walls. In most regions, a dry subfloor that is ready to work has an MC of 12% or less. If you record high MC readings, do not proceed with the installation until the origin of the moisture is identified and all moisture related problems are remedied. All types of flooring are susceptible to failure if moisture conditions are not properly monitored and maintained. When the subfloor is concrete, a moisture problem may begin long before the flooring is installed. If the slab has not been properly dried, moisture problems are almost guaranteed with wood flooring applications. Accurate moisture testing is critical for any concrete slab. ASTM International has provided several standards for testing moisture with two different test methods before installing flooring over a concrete slab: in situ probes per ASTM F2170 and calcium chloride testing per ASTM F1869. The best indicator is RH testing using in situ probes per ASTM F2170. Any moisture that comes from below a subfloor or gets between the subfloor and the flooring can cause problems over time. Leaking appliances, groundwater intrusion through a perforated vapor barrier, condensation, and even moisture from a concrete subfloor that had not completely dried can introduce moisture to your flooring equation. Also from the outdoors, it might be the terrain of the home’s lot with rain and runoff not moving away from the foundation that can cause moisture-related problems with the wood flooring over time. The best cure is to accurately measure and assess the moisture in the subfloors previous to wood flooring installation and also measure the MC of the wood flooring before, during, and after the flooring installation. A wood moisture meter helps wood flooring lovers to navigate naturally-occurring seasonal MC changes on a regular basis. Pinless moisture meters for wood can measure the MC below the wood surface without doing any damage to the wood flooring. Wagner Meters uses pin-less technology to non-invasively measure the wood flooring’s MC, which can help accurately pinpoint possible problem areas for repair or remediation. Wagner Meters manufacture moisture meters for wood that can measure hardwoods, softwoods, and exotic wood species, and also manufactures specialty meters for wood finish applications. 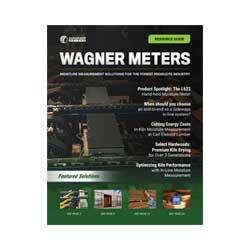 Wagner Meters also manufactures RH in situ probes for testing concrete slab subfloors. When MC management makes all the difference, using a Wagner Meters wood moisture meter is an invaluable way to effectively resolve the warning signs on wood floors. Take a look at our moisture meters here. Hi, I have a hardwood floor that seems squishy where the living room transitions into the hallway. I pulled the suspended ceiling and insulation from the basement cueing and didn’t see anything noticeably wrong. Any ideas what or where we should be looking for? 1) Is this solid hardwood or engineered? 2) Are we dealing with any transition pieces? If not, how long of a “run” of wood do we have without transition? 3) Is the flooring installation direct glue down or nailed? My floorboards are developing cracks/holes in the middle of the boards themselves; which seem to follow the pattern of the wood. Some say it is a natural process( the house is about 5 years old), but I was wondering if more polish, olive oil or other method could slow this process down? I do have central air. there is no cupping or buckling. I only have water./moisture satins. which i can feel with my hands. should i purchase a moisture meter ? would this help me find the cause or should i have a floor contractor look at my floor? I think in this instance, unless you were going to be using the meter on an ongoing basis, your money would be better spent either bringing in a wood flooring inspector or a wood flooring contractor to lend their professional opinion. NWFA.org can help you find qualified people to help. I have cracks and separations between boards. Can I use a liquid cleaner? While you can use a liquid cleaner, I would recommend researching different types of products and determine if there is a specific one that may help address your issues. I had 3/4 inch (hard wood) flooring install a year ago over 3/4 inch sub-floor.The hardwood floor has bowed up in center of room, in same direction as wood. This goes from wall to wall of room. What is cause and how can it be repaired? Is the bow in each board width of the floor or is it just one big bow, where the entire section of floor is lifting off the subfloor? i just had new 3/4 quarter solid oak floors put in and am not happy with the installation. There are some gaps, chips in wood and one board is cracked. Some boards do not meet and have a rough edge. I am sick from this whole experience and don’t know what to do. Talk with the installer to see if you can come up with a solution. If that doesn’t work, having an NWFA certified inspector come out and look at the floor can help. My new hardwood floors were installed about 2months apart (awaiting wood availability-carribean pine). They were left unfinished. Installer supposedly sanded first area and only slightly sanded second area. There are grout marks where bathroom was remodeled and shoe scuffs and now cracks developing between the boards and worst of all I have squeaky floors and flooring is butting against wall in many areas. Installer is arrogant and very difficult to talk to and becomes defensive and storms out of my house and raises his voice at me. He has been paid for all but about 6%. He refuses to use any other stain but Minwax. Bought our house about a month ago, guess the previous owners installed their own hardwood floors. In the front doorway and one other place in my house the flooring is rising up? I saw that one problem could be moisture getting into the wood. What can we do to fix it? This could be the result of inconsistent ambient conditions, improper acclimation, or many other moisture related problems. These types of problems can be fixed, but you really need a professional to diagnose the problem to come up with a remedy. I would attempt to identify a NWFA certified wood flooring inspector/installer to properly help you with this issue. The NWFA website is NWFA.org. I hope this helps. We recently renovated a 20 year old house the was built slab on grade. The house had parquet floors that we covered with a thick underlay and then laminate flooring. This work was done in May and in September the laminate started cupping. We were worried there was not enough space left along walls that the laminate butted into. However after removing the laminate flooring the problem actually lies in the old parquet floor. It has cupped terribly. It is the original flooring that was installed 20 years ago. I think now the laminate and parquet will both have to be ripped up, however what is the best type of flooring to lay down to not have this problem occur again? Mysterious Water stains in the middle of the living room. No plumbing near the vicinity in the crawl space beneath. No sense of humidity in the crawl space. New Roof was installed but when it rains the floor in the middle of the room gets wet.. When it does not rain all the wood seems to dry up except 1 piece which remains to always be wet. I really need some guidance on how this can be happening? House is under renovation and I’m looking into refinishing the floors as the last step of the reno. I’d suggest trying to locate an ASHI-certified home inspector in your region to take a look at this and determine the source. I have a condo with its original parquet floors from the late 80s/early 90s. The floor has started lifting up in places. I’m relatively certain it isn’t a moisture issue, as I had an inspection done upon move in 12 months ago, and no moisture detected. I’ve also felt around the area (it is near front door and laundry area) and can’t find moisture. I think it’s a combination of AGE and also FORCE/STRESS. What I mean by FORCE is- edge of floor comes up against the laundry area, and when the old washer is unbalanced it jolts around a lot. At times is pushes up against the parquet edge- I believe over time this is pushing the floor up. My question: is there a quick or temporary fix, other than new floors, for this? Screws or nails? Getting some new ashes under there? THANK YOU!!! I have obvious water penetration in my living area with my hardwoods buckled on a slab foundation. I live in Dallas. Do you have a recommendation on who I can call to check it out in Dallas? Thanks for the question. Unfortunately, based on the information provided, it is hard to say if it is the conditions in the house or from under the house causing the problems. I would go onto the NWFA.org (National Wood Flooring Association) website and call their hotline. They may be able to walk you through some of the questions and either give you solutions or recommend resources to look at the problem closer. I’m in the process of installing hardwood floors on my sub flooring. I just noticed that in the center of the room there is a lift of the wood flooring. The wood flooring looks to be completely intact to subfloor. It looks like there’s a wave in the flooring. I went under the house and noticed that in the lifted area – – there’s a support beam directly in that area. My house is 25 years old. Have I done something wrong while installing the hardwood floor, or is the sub floor uneven? The hardwood is in the house one week prior to the install. Rob, it’s hard to say for sure based on the information, but I would be leaning towards the flatness of the subfloor. I hope this helps. Thanks for the question. I would recommend reaching out to the people at http://www.nwfa.org for guidance on this topic. My wife and I purchased a new condo with concrete floors, the builder never self leveled the floor and now there are several spots where you step you can feel the floor move. It’s engineered hand scraped hardwood. Also the builder got ceramic tile dust all over the floor and in the wood grain, when they tried to clean it up they just mopped it into all the grain and seams and it’s as hard as concrete. He wants to put stain over the entire floor, we let him try one room and in less than 3 months the white dust is coming back through. Are any of theses problems something you have experience with? Thanks for the question. I can’t say that we have had direct experience with this specific problem, but it seems to me the answers could be obtained by getting the right person (independent) to look at the job. Being that it is wood, I would contact NWFA at http://www.NWFA.org and look through their list of certified inspectors in your area. I hope this helps. We have some cheap engineered flooring in our kitchen. We just noticed a couple days ago an area about 15-20sf that is mostly in front of the sink and dishwasher that is slightly cupping and splitting on many of the boards. Here’s the mysterious part – after pulling out the dishwasher and inspecting it (and the area in which is rests) and fully inspecting the sink and and cabinet underneath – everything there is perfectly dry. There is no evidence of a leak from the ceiling either. Nobody spilled anything (It’s just my wife and our two children and we surely would have seen and cleaned up a spill). And….the flooring up against the typical sources of a leak is actually unaffected anyway. In other words – it doesn’t seem to be traceable back to any one source. We know the flooring needs replaced, but not without first locating the source of the problem. BAFFLED. It could be water from dishes, as you are loading the dishwasher, getting on the floor. Little bits of water over time. If this is a floor over a crawlspace, there could be something different in that area like penetrations in the vapor retarder/no retarder, moisture accumulation in that area, ventilation, etc. Also, with the cupping and splitting, it could be a “dry cup” which means the ambient conditions are too dry. This can affect small areas of flooring. I would say that in the course of replacing the floor you enlist a knowledgeable installer to explain/help you identify the issue(s) and ways to avoid in the future. Our house was built last year. We have a cement floor, wall crawl space . On the main floor we immediately noticed low spots in several areas, floor felt soft or hollow almost sinking – not solid underneath (sorry don’t know how to explain better) , builder said that high spots were actually the problem so added extra support underneath in crawl space, I don’t feel an improvement. Also have many loud popping and cracking noises that are worsening with time. Builder replaced one area in family room near fireplace explaining the glue had not adhered well. I believe we have engineered hardwood. Any input would be greatly appreciated! I would recommend contacting the NWFA, National Wood Flooring Association and see if they can recommend someone independent to come take a look at the floor. This way, if there is something wrong with the floor, you can have very specific, unbiased information to provide to the contractor for resolution. I hope this helps. I recently bought an used house (20 years old) and after removing the carpet in the living room, I found along one particular seam of the subfloor (I think it’s plywood) the edges are cupping. It runs from wall to wall but is more prominent on one side. There is a larger than usual gap along this seam and although there are screws and nails running down the seam on both sides, it didn’t prevent that seam from rising up like a lump. It’s almost a quarter inch higher at the peak than the ground level. I’m wondering what caused this and if I need to look out for something in the future. How do I fix it? I want to put laminate on this floor and I was thinking to just sand it down to make it level. 1) Is this moisture differential coming from below or did it happen from the top? Sanding may help the symptom, but if the problem isn’t fixed then the symptom will come back with a vengeance. We are preparing to install a wide plank solid wood 3/4″ thick by 6.25″ wide hickory wood floor. Our house is 140 years old and the subfloor is not level in certain areas. We have done alot of work and leveled it to an extent, but it is still outside the thresholds of the 1/8 to 3/16 inch specified by the NHFA guidelines. The floor is fairly level east to west, but north to south it currently is not level but has a slope. What the are implications of installing wood flooring on a sub floor that is not perfectly flat? Will this cause buckling, crowning, cracking of boards or any other visual issues (other than the final floor product possibly not looking flat) with the hardwood floor itself? Thanks for the post. You continue to say level. A floor not being level is ok. The question is, is the floor flat? Not being flat can cause problems with plank adherence to the floor, hollow spots, T/G not fitting correctly, etc. I would consult with NWFA, the National Wood Flooring Association, for any additional symptomatic problems that may exist. We installed Morning Star Bamboo in our living rooms and kitchen. We removed old sub flooring and replaced with new thicker sub flooring. We used a high quality pad/water vapor recommended by the store where we purchased the flooring. The bamboo was acclimated in our home for around 8 weeks prior to installation. Now the wood floor in one section under newly (3 month old island) is cupping however there is no water source or moisture in that area?? We have check all appliances and sink for leaks and have found nothing. What could this be from? Thanks for the question. It could be from multiple areas normally, but in this case, it seems to revolve around the new island and may have something to do with the weight of the island and/or the island blocking any potential breathability of the floor. I am just guessing. Your best bet is to either have the manufacturer come out and look at it or contact NWFA-National Wood Flooring Association at nwfa.org and find a certified inspector to come out and look at it. I had a company install solid Jatoba hardwood floors. It was clear that they did not seem to know how to install the very hard wood and put pressure on some corners and created a split. We had them try to repair, but that was worse. My biggest concern is that the floor are uneven even though the subfloors were screwed down and in good shape, the wood seems to be ‘rolling’ some boards are higher than others and the floors are squeaky. Can I do anything beyond replacing? It was very expensive and the wood covers 90% of the first floor of the house. We have tried monitoring the ambient moisture, but in winter it’s hard not to fall down in moisture. Any suggestions would be welcome. It’s sad because the floors looked awesome for about a month (barring the cracks). Thanks for the question. This may be answered, best, with a phone call. You may contact me at 800-634-9961 X235. My floors are cracking and spitting all over my house . I had laid down pile and stick flooring throw out my home and now after time l have noticed large cracks all over the place hall ways bed room and in the kitchen . What would be causing such a problem throw out my home . I am not sure how to add pictures but if you need them l can send to you so that you can see to for your self what l am talking about. Ruth, thank you for the comment. I would contact a trusted, local flooring retailer in your area and have them look at your individual situation. If this avenue doesn’t work, I would recommend you go to http://www.nwfa.org and see if they can recommend a certified inspector that can come out and give you some guidance. Good luck. We have a wood floor that has been installed over 4 years ago. We have never had a problem. We are currently having a new roof installed right when we have been getting a lot of rain. All of a sudden an area in my living room is crowning. Could the two be related???? Thanks for the question. This is possible, but without knowing what the ambient environmental conditions (RH% and temp) were prior to the work and comparing them to what they are like now, it’s hard to say. I would contact http://www.nwfa.org and have a certified inspector out to definitively identify the issue(s). Also, if this is the problem, the problem MAY remedy itself once the environment is reestablish to its existing condition. Hard to say. I am sick over what is happening here – we discovered water running from underneath the baseboard in a bathroom – then discovered that our floors were hot in the living room under our very expensive hand scraped hard wood floors. We have over 2,000 feet of this flooring. Water was then leaking to the outside of the house to our patio. Our house is on a slab. We have all of the water turned off and a slab specialist is coming out today. Some of the planks are buckling a small amount already. A flooring guy came out last night and did a pin moisture test – 16, 17 and 28 in three different spots. What can we expect to happen to our floors. Coincidentally we just had our kitchen counters replaced along with faucets and sink. As the biggest concentration of moisture is next to the kitchen bar where the plumbing is, I am wondering if maybe they broke a pipe. I am not sure if you can recommend anyone to help fix/replace these floors. My husband and I are both really really upset over this. The reason we bought the house was for the floors. They are gorgeous. I am making myself feel better just writing to you. The flooring guy said to replace the damaged area and resend and stain the whole house would take over three weeks and we would have to leave…. Thanks for the email and I am truly sorry for the issues you are having. Depending on the amount of water, you can expect that the wood in the affected areas will grow, causing individual floor planks to exhibit various degrees of crowning. If it was me, I would first have a remediation company (Servepro, ServiceMaster, Belfor, etc.) come out and survey the damage and see what they would recommend to get the area back to pre-disaster status. Usually, once this is done (if anything is needed from them) you can then proceed to put things back together. The area(s) under the affected floor needs to be dried before you think about fixing the floors (in my opinion), this is what a remediation company can accomplish for you. Once you have this, if you aren’t comfortable with the flooring contractor you have been talking with, then I would contact the NWFA (National Wood Flooring Association) at NWFA.org and get some referrals for certified installers in your area. I hope this helps. I have a question , my apartment ceiling had a huge water pipe break and it hit the floor which is parquet and it buckeled from my bedroom door to the middle of my living room is it safe to have my furniture on it? i do not know how if its glued together or anything else and neither does she. I’d recommend that you find a local inspector or restoration professional to look into it. Hello, had real hardwood floors placed in open living room, dining room, foyer and den December 2016. Contractor sanded the floors, all seams were smooth and you couldn’t feel where one begin and ended. After several months, you can feel that some of the seams have lifted a little, and you can also feel it when you run your fingers across the floor, walk bare feet and slide the swiffer across the floor (a bumpy feeling). When you look across the room, it has the appearance of some of them rising even those some of still flat. We have a crawl basement, the contractor suggested we place a coverings over the entire area, he hasn’t done that yet. We paid too much money for our floor and I absolutely love them but don’t want them looking ugly. Concerned as to whether or not the problem is inside the house or underneath. Should have the covering in the crawl space underneath the house done in about 2 weeks.Thanks for any suggestions. I waited 30 years to get these beautiful floors and now this. Thank you for the question. My best recommendation for you would be to find a qualified wood flooring inspector to come out and give their opinion. Most have seen various situations, multiple times, so it would be easier for them to give you viable solutions based on your specific situation. You may want to start at NWFA.org for a list of inspectors. Best of luck. hello terry .i had hardwoods in my house for 50 years but when we had them removed and new put down we fount there were problems from the old ac which cause damange where air vents where also the ac would make alot of moister i live at the coast .now i have new ac and new floors but in the crawl space there seems to be alot of moister what should i do is it because of the ac not seal tight or is that i need moister barriers? Thanks for the comment. My guess would be that this is more about a lack of vapor retarder and possibly not enough ventilation in the crawl space. The NWFA (NWFA.org) is a great resource and they should be able to help quantify how much ventilation is recommended and, if necessary, they can give you a list of wood flooring inspectors that may be able to help with additional solutions. I hope this helps. What is the source of moisture coming into our Family Room? The French doors and back door or up from the unfinished basement? The room is 25′ x 25′ and the moisture reading in 12/13 in a 8′ x 8′ toward the French/back doors. What remedy do you recommend? Hello I have hard wooden floors, I had the toilet tank to burst and spread water throughout the house, however the water evaporated quickly through the flooring, about 4yrs later there’s an unusual smell in the house. What could the smell be coming from. I am thinking mold from the moisture through the flooring? Thanks for the question. I have a hard time believing that it would take 4 years for mold to develop from an event of this type. Not saying it’s not possible, just seems unlikely. In any event, there would have had to be something else that had changed, environmentally, to aid the mold growth this far down the road. You may need to have a flooring inspector and/or an air quality agent attempt to diagnose further. We have just had V4 engineered wood installed in our kitchen. It moves and cracks very obviously in places when you walk onto it. Could this be a moisture problem? Should all floorers always measure the level of moisture before laying the floor? Thanks for the comment. The movement and noises could be moisture, a subfloor that isn’t acceptably flat, etc. You would need to look for guidance from the flooring manufacturer on what is acceptable in your specific instance, but most of the time you would expect to see subfloor moisture testing and finished flooring moisture testing, prior to installation. Most of the time, documentation of this is required if there were to ever be a warranty claim. I hope this helps. Hello. We could sure use some advice. We have called in a flooring person, our termite serviceman, and a plumber and they have all been unable to identify the problem. We live in southern California, have lived in our house 37 years and have never had any flooring problems until the last couple of months. So far, we have only identified three boards with problems, but we fear much worse if the problem is not identified and corrected. We first noticed the problem when the swiffer caught on a small 2 inch section of slightly raised board in our living room. The affected area is along one edge of the board about half-way down the length (which is only 20 inches long). It gradually became wavy with part of it raising up slightly and part of it sinking slightly and has now grown to about 5 inches long. Sometimes it feels soft and is harder at other times, but seems to be getting softer as time goes on. A second board about 1 1/2 feet away now has a raised bubble-like area about three inches long in the middle of a board. The third board is in our bedroom where the floor was damaged a long time ago. It now seems somewhat soft and never did in the past. No one can identify the problem. We had the subfloor area insulated in February 2010 with R-19 unfaced fiberglass batt insulation and have had a lot more creaking in the floor since then. I don’t know if this could be related or not. The weather seems to affect it as well. When the air is drier, it seems harder and vice versa. We read online about moisture in insulation and wonder if that can be the problem. There is no vapor barrier on the dirt floor of our crawl space. This house was built in 1953 and the previous owners never had one and we haven’t either. We’ve checked with our neighbors who have the same raised foundation and red oak hardwood floors and no one else has a vapor barrier either and have had no problems. Any advice would be GREATLY appreciated. Thank you for the comment. My best suggestion for you is to contact the National Wood Flooring Association at NWFA.ORG and find a certified wood flooring inspector in your area. Having them come out and do an evaluation should help to identify potential problems. Thanks for the comment. Honestly, I haven’t ever seen or heard of blue around the edges. It sounds like it might have something to do with the liquid and its interaction with the finish or a cleaning product you use. I would contact a flooring professional to give you an opinion. We have red oak hardwood floors that were professionally sanded and re- finished about two years ago. The floor have been showing small cracking on the surface. We have only used the recommended cleaner the professional recommended. The surface cracking seems to be limited to the finish and the wood still looks good. Any thoughts on removing the cracking finish short of sanding and reapplying the stain and sealer? Can it be buffed out and resealed? Thanks for your help. Thanks for the comment/question. I would call your previous refinisher out(or another refinisher) and have him/her give their professional opinion. Depending on the severity and cause of the issue, buffing may be an option. In any case, your original professional should be able to take care of it appropriately. We bought the house already renovated so we don’t know much about what issues there may have been before renovation or how thorough the contractors were as this was a very quick flip.. There are wooden floors throughout the home and as of late I have been noticing 2 occurrences simultaneously in the kitchen mostly. I read your articles on both these issues- The aspect of this that’s confusing is one might be due to dryness and the other might be due to moisture. Is there a cure or reason for these contradictory reactions that I might be able to investigate? I’d appreciate any insight or help that you might b e able to offer. Thanks for the comment. You are correct, this seems odd to have both happening simultaneously. If this is a new floor, one potential culprit could be that some of the boards were wetter than they should have been at the time of installation, so as they acclimated to the room conditions, after installation, they shrank. In the same breath, some of the boards may have been drier than they should have during installation and as they acclimated, absorbing moisture from the air, they grew, causing the crowning. To get verification of this, I would contact http://www.NWFA.org and try to find a certified wood flooring inspector in your area. Thanks for the comment. I would imagine there could be many issues. You state the observation that the spot almost looks like a “burn”. Are the three boards in the same area? It might be worth getting a cost-effective infrared thermometer and measuring the surface temperature of the floor in various areas for comparison purposes. Maybe higher temperatures in those areas, for whatever reason, is part of the issue. Prior to looking underneath, it may be worth looking on http://www.nwfa.org and finding a certified wood flooring inspector to evaluate and offer their opinion. Good luck. We have solid Brazilian teak floors installed in our new home 3 years ago. We had our crawlspace enclosed and they installed two dehumidifiers at the time. Over the last year we have noticed that our flooring is separating a lot in several places. Should we install a humidifer for the heated months? We have had several people work under the house to try and pull the flooring back together without luck. Thanks for the comment. The best thing you could do is consult a local wood flooring installer in your area or contact the National Wood Flooring Association at NWFA.org to see if either can help with your specific situation. After purchasing our home, we noticed there were discoloration in the engineered hard wood floor spreading slowly over a course of a year. No one really knew what it was but I could smell mold/mildew. Sure enough, the flooring contractor, when tore up the flooring said it was dry rot and our carpet areas under the moisture barrier were also very wet in the living areas. The previous owner stated there was a slab leak but all the pipes had been relocated to the attic. We have sprinkler system only in from of the house and valve right at entrance. After cleaning and drying out the concrete and removing asbestos, the contractor then agreed to install our new engineer wood flooring. After about 3 months or so, we noticed a lot of crowning and bubbling effects throughout the areas of install. The entry way was most noticeable because the wood is starting to crack. The flooring company sent an independent flooring expert to see and he said it’s most likely moisture since his meter registered it and when tapped on the bubbling areas, they sound very hollow. The wood at in the garage during the waiting period and the installer used the moisture 4 in 1 barrier glue that was supposed to prevent moisture from coming up from the manufacturer of the wood, which was why we went thru with the installation. If we had cancel, they would’ve charged us 25% restocking fee. But now, it’s costing us a lot more. We still do not know where the moisture is coming from! There was not a lot of rain this past season, so it cannot be from the outside. We do live in a high water table area though, so we will be working on installing draining/French drains on our exterior soon. Any advice will really help us out. It’s going to be a very long process and costing us more than we thought. Thank you! First, thank you for the comments and I am incredibly sorry for all of the headaches you are encountering. I would try to get an independent evaluation of the issue you are having. One way to do that would be to go onto the National Wood Flooring Association website and find a certified inspector. I am not saying the flooring installer isn’t doing everything correctly, but it is always nice to have that independent perspective. Good luck. Red oak hardwood floors were installed throughout our newly constructed home (we moved in at the end of July 2017). The boards on the first floor began to contract in early December. Since the contraction took place, in the space between each board there is what looks like a beige stripe. The end result is unsightly (to put it mildly). We know an extra coat of polyurethane was applied on the first floor because a tradesman walked across a wet floor. The builder blames us saying we should have used a humidifier. Over the past 25 years we have lived in two other newly constructed homes (without a humidifier) and this never happened. Your thoughts and suggestions are greatly appreciated. Thanks for the comment. In your situation, there are two common causes. 1) The ambient conditions in the house weren’t controlled prior to or during installation. Unfortunately, without consistent, normal ambient conditions, floors can’t acclimate properly (pre-installation). The implication here is once they are installed and HVAC is on consistently, they acclimate to those conditions which could cause the floor to shrink or swell, depending on the change. 2) Everything was acclimated and installed properly, but ambient conditions weren’t maintained between NWFA recommended guidelines of 30-50% relative humidity. I would recommend finding an NWFA certified inspector to come out and evaluate the issue. Good luck. I live in 10 year old condo with engineered oak? flooring. my washing machine was leaking for likely weeks or even months. did not realize until water started coming up through the floorboards in hallway nearby. dried as quickly as possible but cannot know duration of leak. the wood floors were slightly discolored with small gaps between few boards. I was not going to redo floors but the change in temp (or progression of rot mold) has caused further discoloration (grey along edges), larger and more gaps between the planks. is there chance I don’t have to tear out the floors? to risky? Thanks for the question. There is always a possibility. In my opinion, the best thing you could do is have a section of flooring pulled out and see exactly what the subfloor and/or backside of the flooring look like. This may show more to the extent of the damage. In this case, you may only have to repair the section pulled out. Good luck. I have oak hardwood and there is an area in my living room that just a week ago is producing bubbling through the cracks. I feels like oil of some kind. It is in about a 3 foot by 3 foot section of the living room that is not near any water source. I have been here are 2 years and this is the first time its happened. But as I continued to clean the area and inspect it sometimes it is a puddle of what again appears to be an oil substance. This morning there were nickel size bubbles in the cracks of the same area. I have sprinkled baby powder over the area to absorb the moisture, and it appears to be crystallizing, for a lack of better words. The powder does seem to be pulling it out but I want to know if there is another solution? I have inspected every square inch of this 2700 sf. The entire 1st level is wood except for the master suite. There is nothing even close to this happening anywhere other that that one small area in the living room. It is not under a window and not even close to the Front Door. Any suggestions? Do you think it is oil – it has no odor and it is not water. Thanks for the question and I will be totally honest, I have not a clue. It may be best to contact a qualified installer or NWFA certified inspector for their input. Personally, I think I would want to have a professional pull the specific board in question and inspect the subfloor to determine if the “oil” is isolated in the board or coming from/through the subfloor. Doing this should help you determine whether additional remedial action is necessary. Good luck. Help! We recently bought a new construction home (3 months ago). We had engineered hardwood installed. On the first (main) second (back bedroom), and third (master bedroom) floors, there are issues with the subfloor and leveling of beams which have resulted in raised bubbles and squeaking. While the GC suggested that we nail into the floor, independent flooring contractors have informed us that this is not a permanent solution and that the subfloor underneath needs to be examined and repaired (i.e., sanded down, planks replaced, etc.). On the second floor, the edge of the floor by the stairs is higher than the middle of the floor. This has resulted in a huge gap between planks. The floor needs to be removed, sanded down, and replaced. This will also affect the molding and stairnose transition molding. Also, the floors in the two guest bedrooms were installed incorrectly. 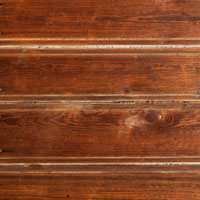 There are nail holes and planks installed groove to groove, as opposed to tongue-and-groove. The empty nail holes can also be seen on the first and third floors. Thanks for the comment and I am sorry to hear about all of the issues you are having with your floor. I wish I had some easy fix. It sounds like there are a multitude of issues with the floor that require attention. I would visit http://www.woodfloors.org, the consumer website for the National Wood Flooring Association. Besides having a wealth of information, they also have a listing of certified wood flooring inspectors. Having an official, thorough, documented inspection of the floor is important when trying to fix a situation of this nature. This inspector may also be able to give some better insight into potential remedies, besides replacement, if there are any. Good luck. Hi my woodfloor was installed on December 2017 last week we change our boiler and some water has gone in my woodfloor now my woodfloor has pop up a little bit and can see gap its about 3 meters where the floor have pop up the rest is ok. im very worried now as my floor was very expensive what can I do pleaae help. Thanks for the question. If the water source is taken care of and the excess water is cleaned up, it might be best to keep the conditioned airspace consistent and see if the problem “fixes” itself. Worst case it doesn’t correct itself and you may have to have that section replace. Good luck. Last fall we refinished our hard wood white oak floors, with water base finish they turned out beautiful. But after nine months I noticed the seems in some random areas coming up as if dried glue is pushing up between the boards. Could high moisture outside be the cause, we have had rain for two weeks? How do I protect them if this is it? Thank you.. Thanks for the email. I would recommend having an NWFA Certified Inspector come out and evaluate the issue and give you some recommendations to remedy the situation. Their website is https://www.woodfloors.org/. Good luck. Renting an older house and had a pipe leak that previous tenant never made known that cause water to run to one corner of the house. Got to the point where water started to smell bad and could smell it indoors. Plumber fixed that and the smell went away but from what I’ve seen there are multiple spots in different rooms that have raised subfloors it seems. Rechecked that one corner after heavy rain and it accumulates water, not as much as with the leak but visible. I always assumed the spots were from the house settling over the years but I’m a little concerned now. Any advice or additional info I should know about? Thanks for the question. I would start with exterior drainage first. Are all of the gutters up, in good shape, and draining? Maybe there is a need to drain them further away from the house. If all of this looks functional, you may need to look at a sump pump in the low area of the house to keep the water out. Obviously, this is all based on issues like the leaky pipe are fixed. Good luck. we had burst water pipes in Winter, due to the extreme cold, could all the issues associated with that cause the floor boards to creak badly? It is rented as a Gite and now customers complain about the noise. It happened in the pipes between the ground and first floor ie ceiling of lounge and floor of upper level. Thanks for the question. If the wood absorbed the moisture/water from this and expanded, you may have a situation that causes symptoms of this nature. We recently had 4” Engineered wood installed throughout our downstairs. Since the hardwood was installed which was about a month ago, the floor makes a crackling sound throughout and some places sound very hollow. Installer said he used glue around the perimeter and stapled everywhere else. Our previous floor was a Mirage flooring, and we never had any crackle sounds. This one is a diffent brand, and so far, very disappointed with the results. Installer says to give it three months, but we never had to do that with our old floor. Any help in why this could have happened or what the cause could be, would be greatly appreciated. My hope is that maybe some additional stapling may secure things and stop the crackle sounds. Thanks for the question. Different woods and different products react differently to their environments. There could be numerous possibilities to the causes and cures for this floor. Sometimes the best thing is to get an independent evaluation of what is going on. https://www.woodfloors.org/certified-professional-search.aspx is the consumer website for the National Wood Flooring Association. Here you can find a certified wood flooring inspector that should be able to evaluate your specific situation. Good luck. I have a 115 year old house. I bought 25 years ago. 15 years ago we put in double paned vinyl windows and siding and central. 10 years ago the kitchen had a fire and because of smoke we refinished the floors with polyeurethane. 3 years ago my floors started buckling terribly bad in summer. 3 inches in some spots. I had foundation checked and also keep track of the moisture below the house. Very dry under the house. The wood is also changing colors (white in color). What could be some causes/ solutions? Thanks for the question. Buckling means there is a moisture variance from top of board to bottom, with the bottom being dryer. This could be a maintenance issue or relative humidity variance inside or out, among other things. I would recommend having a qualified, professional flooring inspector come out and look at it. The National Wood Flooring Association has a listing of certified inspectors at woodfloors.org. Good luck. Thank you for the question. I can’t say that I have heard this specific term, but I would recommend you contact the National Wood Flooring Association, http://www.NWFA.org, and see if they have heard of this issue. Terms can sometimes be different and NWFA should be able to help if it is a true issue. Good luck. Our condo has engineered floor over concrete and is 10 years old. We have lived here 3 years without any problems. Last month in the entryway hall we started seeing some rippling, a couple of 3″ long , narrow bubbles, and a little bit of lifting where some of the board ends meet. We have had the AC checked (no problems), and there seems not to be any water leakage around our washing machine. The apartment next to ours had a toilet leak, but the only damage was to the unit directly below. We had 2 separate flooring contractors come in, one specialized in repairing floors and water damage and was NFWA certified. He said we should try to get the RH down (it was 50 – 60 % with constant AC) so we bought a small dehumidifier. I have read about repairing unglued sections by drilling a hole and injecting glue (the second floor person had never heard of that and although I emailed him the info, he never responded). Actually, both of them seemed more interested in selling us a new floor than repairing the old one We don’t know what to do anymore, other than vacating our unit for 6 weeks and spending $20,000 for a total new floor. I don’t even have an idea of what kind of person to contact – someone who does renovation? We would really appreciate it if you could shed some light on this and suggest someone to turn to. Thanks for the comment. I would continue to seek out a qualified flooring contractor to do the repairs or have someone explain, in detail, why you need a completely new floor for isolated problems. Depending on the severity of the problems, the humidifier may help remedy them without any repairs. Either way, you will need to address the humidity in your house to ensure that the conditions stay consistently in the 30-50% RH, which is typically recommended for wood floors. 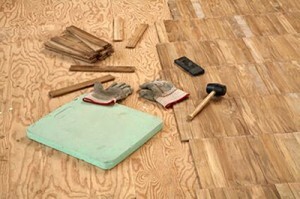 If you need to identify additional qualified wood floor installers, you can find a listing at http://www.woodfloors.org. Good luck. Jason. we have since found out that there was a major flood upstairs in the apt across the hall from the sprinkler system. It was suggested that we find a building inspector who will use a water meter to find the moisture level, etc. Thanks for your reply. We had our hardwoods sanded and restained about five years ago. They are solid hardwoods and the majority of the floor is a wood subfloor except for about two feet which is a concrete slab. This is a part of the garage concrete slab that extends into the kitchen. (Don’t know why the builder did that.) Two things are going on. Where the concrete slab meets the subfloor in the kitchen, about a foot of the flooring is bowed up about two inches. You can trip on it if you’re not careful. The other problem is most of the wood is cupping. This did not happen before we sanded and restained our floors. Sometimes it is worse than other times. We have checked for water everywhere we can think of and don’t see anything. We live in Georgia and the humidity is very high in our area. Any thoughts on what could be causing all this and what we can do to fix it? Thanks for the questions. Stating the obvious, but you obviously have a moisture imbalance in the wood floor. Many times this is caused by inconsistent relative humidity and temperature conditions either in the occupied space or in the crawlspace. Also, many times the crawlspace may also not be properly ventilated potentially causing an issue. Measuring conditions in both of these spaces, over time, would be a way to documents and determine consistent conditions are being maintained and that the conditions are appropriate for wood floors. Most of the time wood flooring should have occupied space conditions between 30-50% relative humidity to minimize cupping or crowning like you are seeing. From the statement you make, “Sometimes it is worse than other times” I would guess conditions are not consistent throughout the year. I would recommend having a qualified wood flooring inspector come out and help with the identification of potential issues. Hi, my 3/16” red oak flooring was installed, sanded, stained, and coated with polyurethane in May. Today it buckled! I wasn’t happy the contractor used flakeboard as the subfloor. Could this have caused the problem??? Here’s some facts: kitchen floor, humidity maintained with A/C, no leaks or spills. Thanks for the question. I would direct your question to the National Wood Flooring Association, http://www.nwfa.org, regarding the installation on “flakeboard”. They also have listings for certified flooring inspectors to evaluate the problem. You talk about a lot of the internal issue that cause buckling problems, but one area that many ignore is the area within the crawl space. It has the potential to cause a major issue. Good luck. We recently bought and remodeled a home that was built in 1982. The house is built on a concrete floor . We changed most of the sub floors. We installed 3 inch oak flooring in all rooms except bedrooms and master bath. The floor has been down about 10 months. I have noticed that the floor is cupping consistently throughout the house . There is one exception. We have a converted sun room that is not on concrete. That room has not cupped. This was an unusually humid summer in Cape Cod. I’m hoping when the heat comes on in winter that the floors will evenout. Do cupped floors smooth out when the humidity drops? Thanks for the question. Depending on the severity of the cupping, the floors may return to normal, or close to it. If this is the case, I would make arrangements to add some type of dehumidification system to your house to keep it from happening again. Good luck. Thanks for the question. 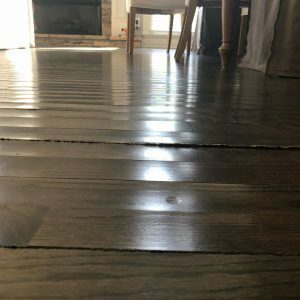 I would contact the National Wood Flooring Association at http://www.nwfa.org and find a certified flooring inspector in your area to look at this floor and diagnose the issue. Good luck. I like what you said about treating the subfloors the right way and accurately measuring the moisture. I think that hiring a professional installation service is the best way to make sure the flooring is installed correctly and that the subfloors are being treated as they should be. My wife wants to install hardwood in our kitchen, so we’ll be sure to contact a reputable flooring service in our community to get the job done right. Jason, we installed antique pin floors 3 years ago on our slab and on wood subfloor upstairs. The floors on the first floor installed on the concrete are fine and perfect. After 3 years from installation date the wood floors upstairs on the wooden subfloor they started to cup and buckled in both rooms mostly in the middle of the room. The two upstairs rooms have a unconditioned double garage below them. The hall way that runs along the entrance of the two rooms had the original antique pin floor. Both rooms had carpet in them when we purchased the home and we pulled carpet out upstairs and down stairs. The only place we are seeing the cupping and bulging is in the bed rooms upstairs. The contractor laid a felt between the wood subfloor and the antique pin floor. I’m not seeing any areas of moisture damage on the wooden subfloor plus the original hallway wood floor has no issues and it is over the unconditioned garage. Looks like the original floor installer left enough space along the edge of the walls to expand. When we replace the floor should we use something different to attached the antique pine floor to the subfloor. Again, originally it had a felt beneath floor and was nailed to the wooden subfloor. Would like to make sure it does not happen again. What should the application be. Notes: Home is in Lafayette Louisiana and not in a flood zone. When we pulled the antique pine board up the moisture reading was 6%. We just can’t firm up where the moisture came from. No noticeable moisture damage to the wood subfloor. Thanks for the comment. This very well could have been an acclimation issue. You say the pin floor you took out was 6%MC, which is very low, telling me the conditions in your house must be kept very dry. I have a hard time believing in LA that wood floors are stored in 6%MC environments prior to installation, it probably much higher due to the natural ambient humidity. If that were the case, it may take a bit for the new floor to acclimate to the dry conditions in your house, else I may cup after installation. This is strictly a theory. As far as the installation process, I would refer you to the National Wood Flooring Association at NWFA.org. They have specific guidelines for installation practices. Good luck. We have hardwood floors in our 10-year old house, and over the last month or two (quite wet here) some of the boards seem to pushing up the string or glue in between them (it’s extruding). I bought a hygrometer and the humidity is about 55% inside and about 60% in the crawl space (which is insulated but maybe not moisture barriered). Any thoughts / help greatly appreciated. Thanks for the question. Based on the limited information you provided, it sounds like the humidity in the house is too high, at least at the time of the reading. NWFA recommends 30-50% ambient RH. Here is a wood manufacturer’s technical bulletin https://rehmeyerfloors.com/wp-content/uploads/2017/02/NWHA_Relative_Humidty_Summary_020917.pdf. Probably not the same as yours, but much of the technical info is standard. I hope this helps. Since you mentioned that heated homes in winter can cause one’s hardwood floors to shrink and spaces to appear between the boards, it reminded me of my own bedroom. The floor is made up of hardwood there and I turn up the heater before I go to sleep during the colder months of the year. As I am now aware that this can reduce their durability, I will find a professional to inspect all my hardwood floors. This will not only help keep my house warm and safe but also know whether they needed to be replaced and refinished before the first snow falls. Jason, I installed bamboo wood in three of the bedrooms, they look great. But in one of the rooms a dark spot was on one of the panels. I thought one of the kids spilled something on it. Now nine months later the spot has gotten bigger and is on three panels, it feels cold and damp to the touch. Is not near a window or the door. But the room if near the in ground pool. Not sure if the damp feeling is because is near the pool. The other room is near the pool to and is find. I’m ready to replace the panels but what can I do to avoid it from happening again? Thank you for any Advice you can give me. Thanks for the question. Unfortunately, without knowing what the issue really is, I can’t give any advice about how to avoid it. You may want to have a certified inspector come out and evaluate the situation to determine the cause. You can find one at http://www.nwfa.org Good luck. We had a home built in 2018. Our basement floor was poured on 3/20/18. Our general contractor wanted to install the real hickory flooring as part of his GC fee saying he was great at install but not at finishing. We happened to have a good friend who had installed and finished several hickory floors and was willing to do the finishing for us. Or GC was fine with this plan rather than hiring a subcontractor to do the work. We made sure the exact wood was ordered by our general contractor that our friend recommended from the vendor our friend recommended. The wood was delivered on 4/20/18. Our general contractor installed it between 4/23-26. Our GC claimed he checked Moisture Content prior to install (where, what, how and how many places we have no idea). It looked great. Our friend came to sand, seal and finish coat it for us between 5/8-11. He mentioned a couple places in the last row of boards where the boards were just set in place… not glued or nailed. When our GC said he couldn’t get to the house to fix the boards, our friend did it so he could continue his work. It looked absolutely gorgeous when done. After a couple days to dry thoroughly, the GC covered the majority of the flooring with paper to protect it while other subcontractors were doing their work… plumbers, electricians, HVAC, stone mason, carpet, finish carpentry, cabinets, ceramic tile, etc. Fast forward to 4/30/18. We got a call from our GC that the floor near a window in the den was bubbling… better description is buckling but that was the word he used. Three or four rows of the wood was lifting up away from the floor and you could feel it under your feet. This was noticed in an area that wasn’t covered by paper. There was no evidence of water on the floor or the window. They proceeded to walk over the rest of the floor still paper covered and found no additional problems. After much deliberation by our GC and blame being pushed on our friend for not finishing the floor right, the GC had his finishing sub top nail (nails through the top of the wood planks) the affected area. Our friend that did the finishing claimed it had to be due to improper installation. Causing us to be stuck between the two with no true resolution. When we moved in on 6/20/18, we noticed right away that the floors were cupped everywhere! And in a few places along the edges of doorways to other rooms with tile (even though the final tile trim pieces between the two floors had not been completed yet) there was crowning. Our GC still blames our friend for finishing the floor wrong, and at one point said “Well in 5 years when your dog is gone you can have it totally redone.” Over the winter the cupping and crowning has reduced and some boards are now showing 1/8″-1/4″ cracks between planks. The den floor boards that had buckled are flatter but don’t feel right when you step on them. Between the installation and our moving in, the new build did not have an air conditioner yet. There was a small humidifier (ours) running non-stop in the basement, but the weather took a very hot and humid turn with almost daily rains and temps between 85-95F degrees. During this time of high temp and humidity sub contractors were in and out of the house constantly leaving doors and windows open on both levels of the home. I cannot find my note regarding when the AC unit was installed but it was between 4/30 and 6/20 – I think mid May but would need to dig more to find the exact date. Could this heat and humidity have caused the problem, thereby being a GC responsibility? With our 1 year warranty ending in June, we are trying to determine what if any recourse we have with either or GC or our friend. If a professional determined our friend was at fault, we are 100% certain he would make good on it. And if a professional determined the GC was at fault, we think he would kicking and screaming make good on it. Really appreciate any input, guidance, etc. you can offer. THANK YOU! Thanks for the questions and sorry you are having the issues. For sure it can be stated that there is a difference in the moisture content of the wood between install and now. 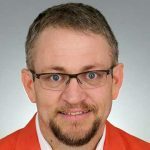 Whether that is due to incorrect acclimation of the product, installation practices, or changes in the ambient conditions, it’s hard to know without actual information from prior to the installation to now. You would probably be best served to have a hardwood flooring inspector come out and evaluate the situation. You may want to start here http://www.nwfa.org One potential issue I see from the very beginning, if I am understanding the flooring product correctly, is the fact that most solid wood flooring manufacturers don’t recommend installing ¾” solid flooring in a basement application. Good luck. correction Fast Fwd date is 5/30 not 4/30… typo. and of course then also correct: AC unit was installed but it was between 4/30 and 6/20 should be 5/30 and 6/20. Thank you for the reply. Apologies for the confusion. The wood floors are on the main level. I only included the basement pour date as a matter of reference. I have contacted an inspector who thinks he can help. We are trying to determine if this step and expense will truly help us – not sure what weight an inspection will carry. We recently installed hard wood floors throughout our house. We live in chicago and had water damage in the house due to pipe burst and then we had the hard wood floors installed last Oct. This Jan we started noticing gaps between the boards. The gaps are able to fit a dime in some areas and some are less gaps than that. But there are gaps all over the house. The humidity level I checked is 30%. When I contacted the wood guy who installed the floors he says to get a floor inspector to see why this is happening. Is it installation issue or humidity issue. Thanks for the questions and I am sorry about the floor. Most wood floors are going to have a specification for humidity levels of 30-50% so your measurement is on the low end. The gapping tells me that the wood has shrunk, after installation, and may be caused by the low humidity. I would also recommend that you have an inspector come out and look at the floor to determine the potential cause. You can find one at http://www.nwfa.org Good luck.